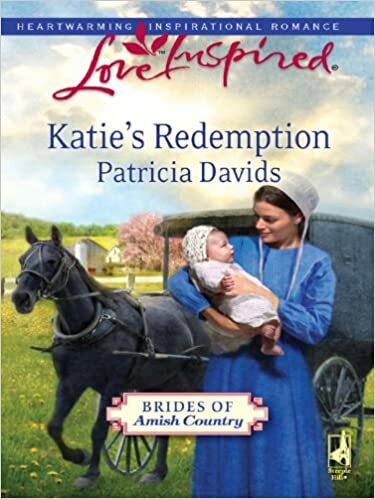 After two years away, Katie Lantz returns to her Amish community nine months pregnant—and unmarried. With nowhere else to turn, she nervously knocks on her family's door, fearing she'll be shunned. Yet the handsome stranger who now owns the farm welcomes her in—just in time for Katie to give birth. Carpenter Elam Sutter and his kindly mother care for Katie and her newborn in a loving way she never dreamed was possible. But in the face of a heart wrenching choice, Katie learns just what family, faith and acceptance truly mean. To be welcomed into a strangers home brings hope to the weary. That's what Katie's Redemption conveyed to me. Hope for the weary, love for the unlovable, and forgiveness all around. My favorite character was Elam's Mother Nettie. Her warmth is what gave Katie the peace she so desperately needed at that time. She impressed me when she opened her home to care and pray for someone in need. She was just a lovable character who tries her best to be like God wants us to be. I also have a character I totally disliked and just couldn't understand. The amount of pain and quilt that Malachi put upon his sister Katie was unbelievable to me. God's lessons to be learned here also. Great detailed descriptions. I could feel the bitter cold when she knocks on the door, felt Katie's heartbreak, and also felt the joy in the middle of the turmoil. This was one of the free kindle books that I post in the mornings! Be sure and check the price it may still be free!